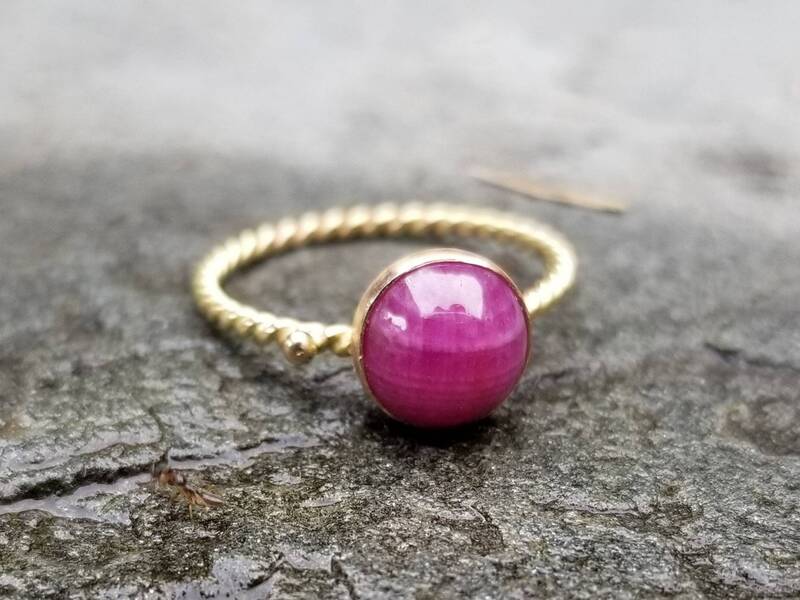 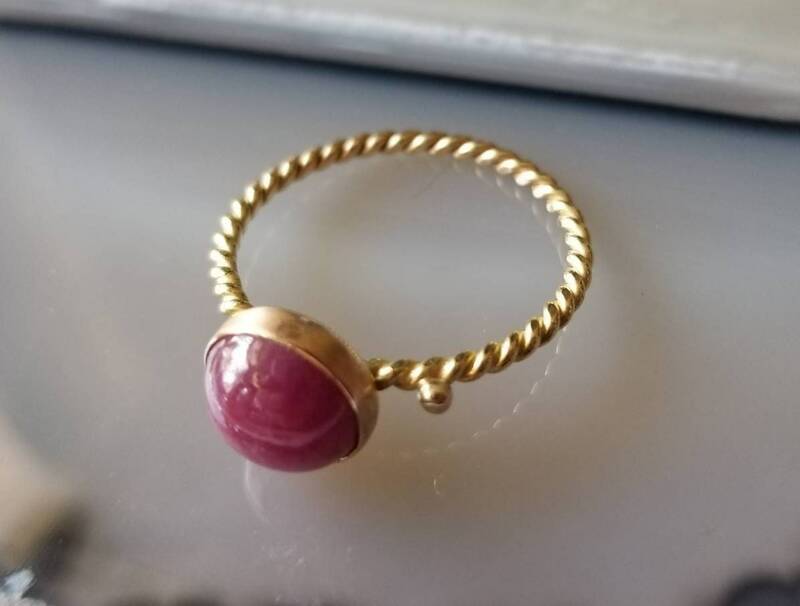 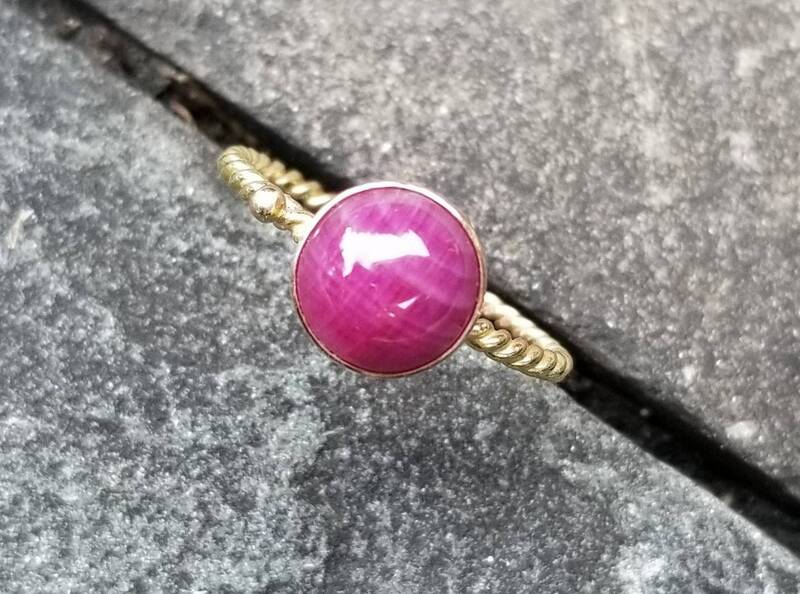 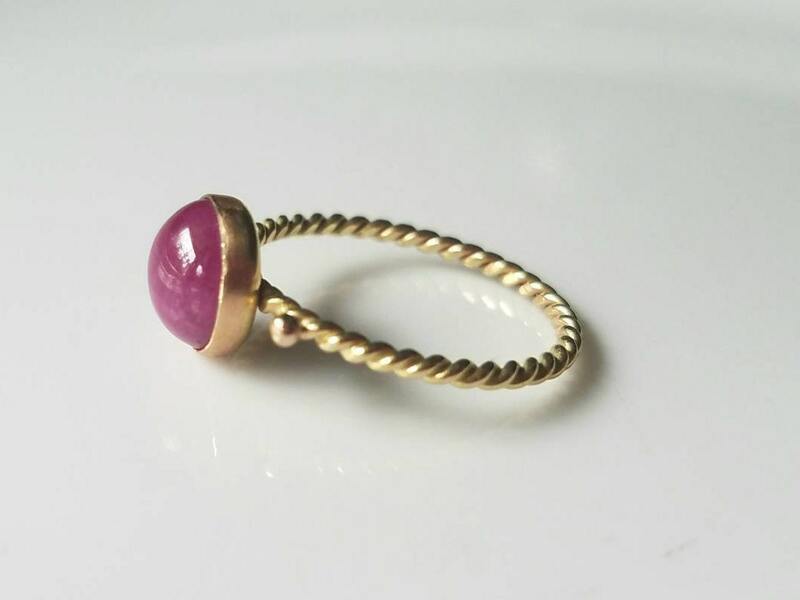 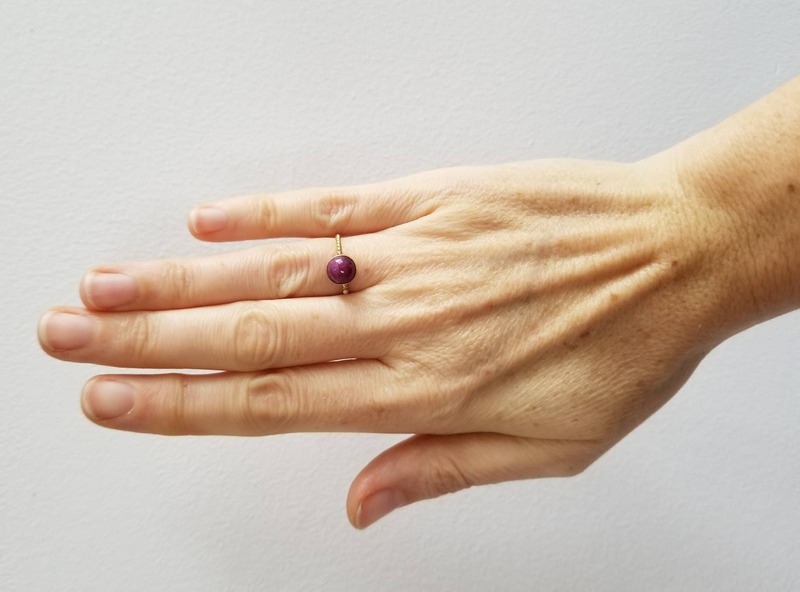 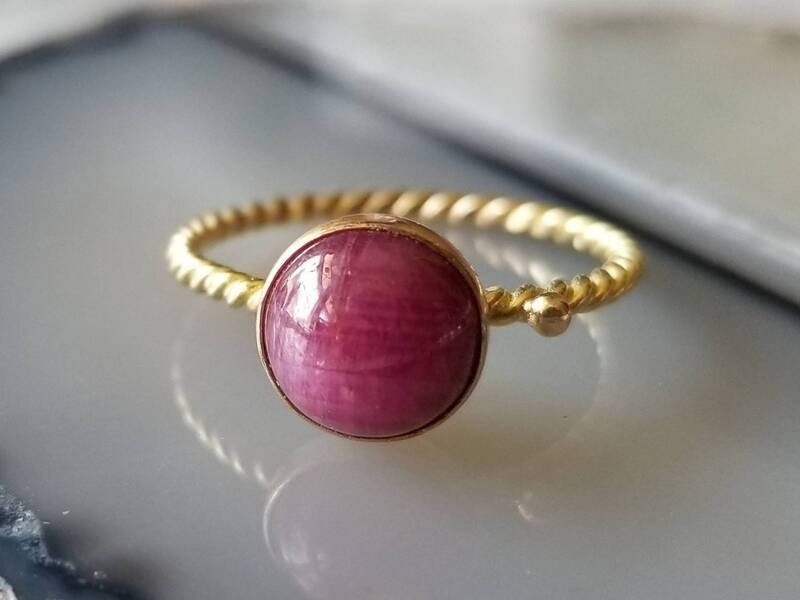 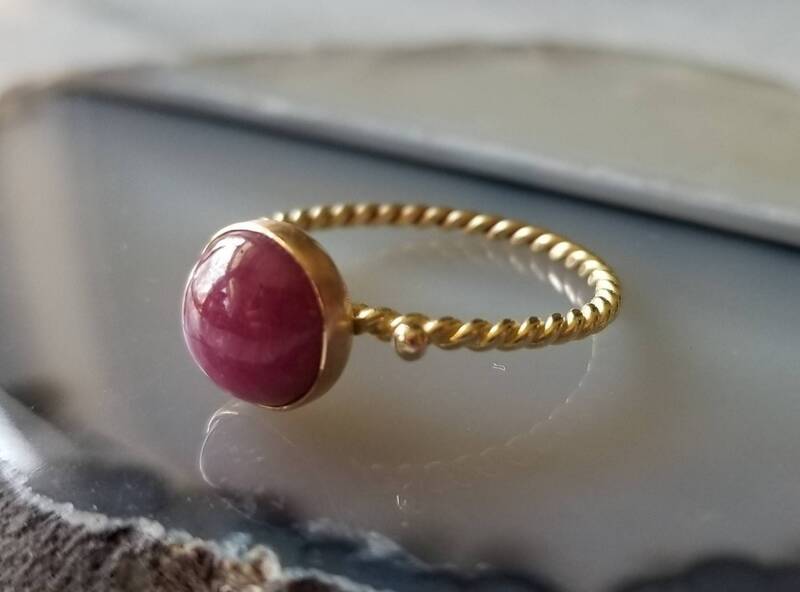 I created this ring around a beautiful mauve natural ruby cabochon. 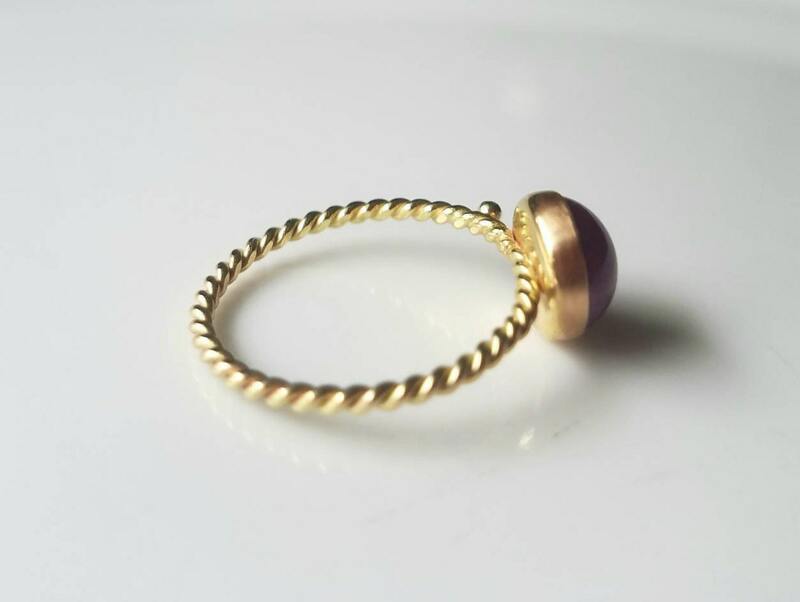 The 8mm stone is opaque with intriguing silk inclusions, which give it a chatoyancy effect. 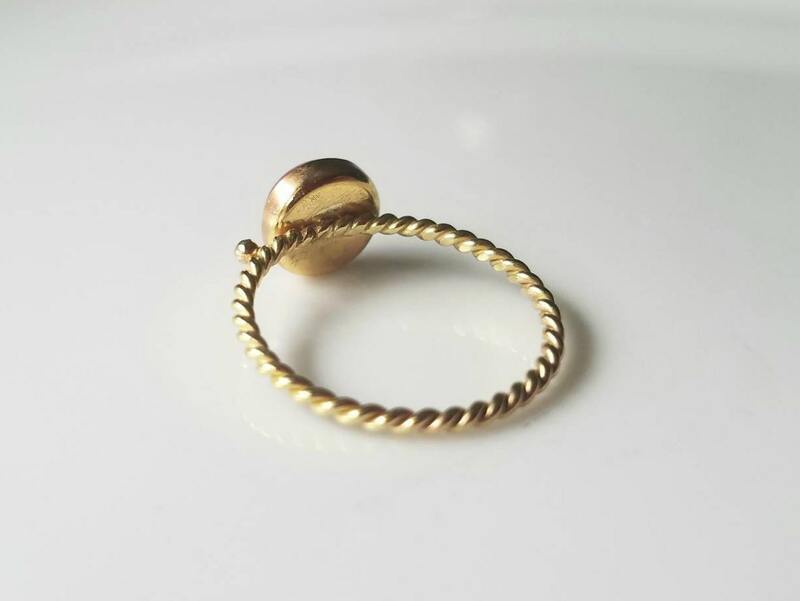 I set the stone in a 14k gold bezel and paired it with a delicate gold rope shank, accented with a tiny gold sphere. 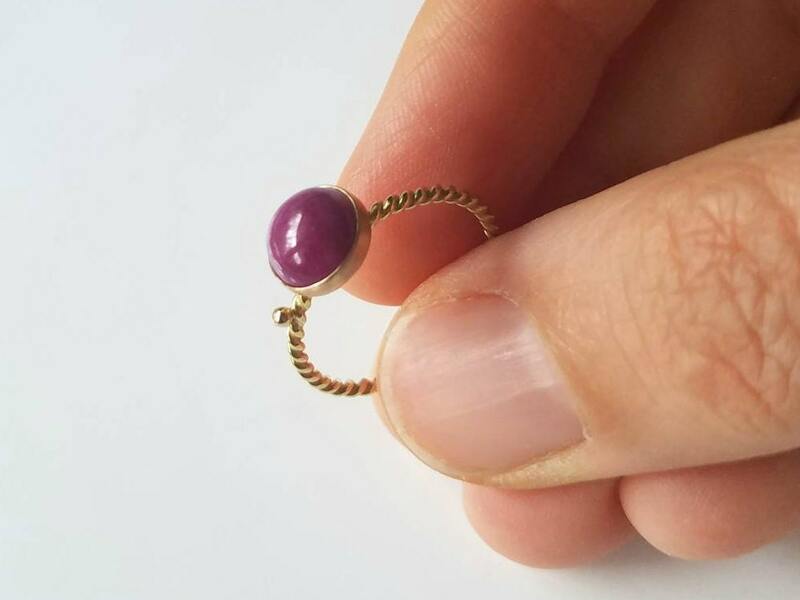 This ring really shines!